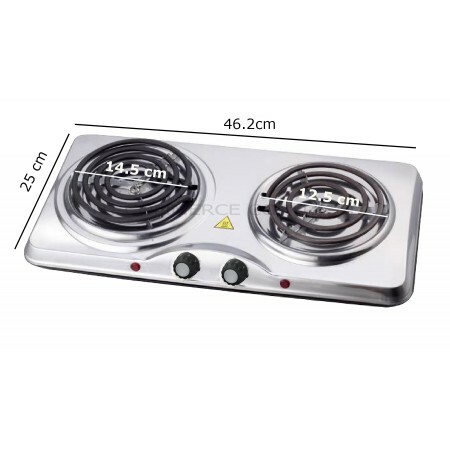 The portable double electric hot plate is a perfect addition to your summer kitchen, also ideal for limitted space area. 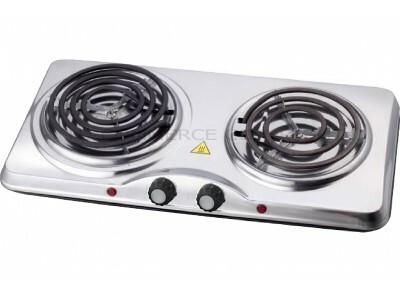 Lightweight and portable electric hob, which makes it convenient to cook anywhere you want, as long as there is a plug socket around. It is also perfect for your office, workshop, caravan, camping and garden. 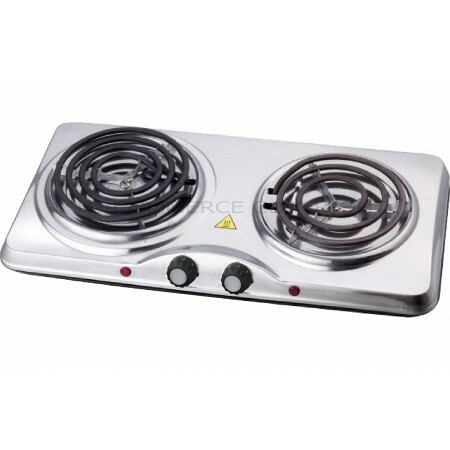 The electric hot plate comes with stainless steel housing which prolongs the shelf life of the hob and makes it easy to clean. For your ease and comfort the portable electric cooker is easy to use featured with temperature adjustable control for simmering to boiling and auto-thermostat. 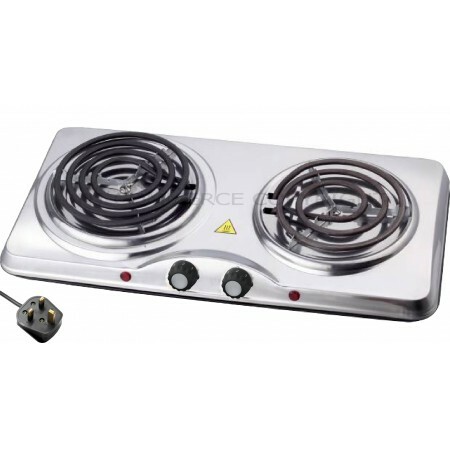 Also the electric hot plate has skid proof feet keeping the unit steady. Please Note: When using the coil electric hot plate for the first time it is normal for the coil plate to create little smoke! After that it will no longer appear.